Today is my hubby’s birthday; tonight we will celebrate with Pasta Carbonara and Cream Cheese Pie – his favorites. Every year I ask what he wants for dinner on his birthday, but every year I already know the answer. He loves this cream cheese pie topped with strawberries. The recipe came from his mother and is a basic, simple cheese cake. Fortunately for me it’s easy to make and always works when I need to get on his good side. 😉 I have tried a few times to pass off a store-bought graham cracker crust, but that’s always a little disappointing . . . the real one just takes minutes, so it’s worth it. If you’re craving cheesecake but don’t want a lot of fuss, this is the route to go. It really is good, complete with a sour cream topper. Add some berries for a fresh summer taste. Combine graham crackers with melted margarine and press into an 8 or 9 inch pie plate (up the sides); set aside. Beat cream cheese with electric mixer until light and fluffy. Gradually add in sugar, lemon juice, vanilla, salt and eggs – one at a time, beating after each. Pour into prepared crust and bake until set, about 25 minutes. While pie is baking, combine sour cream, sugar and vanilla. When pie is set, spoon the mixture over the pie and carefully spread to edges. Return to oven and bake an additional 5 minutes. Remove from oven and cool on a wire rack. Chill for several hours until completely cold. Serve with strawberries, raspberries or fresh blueberry sauce. 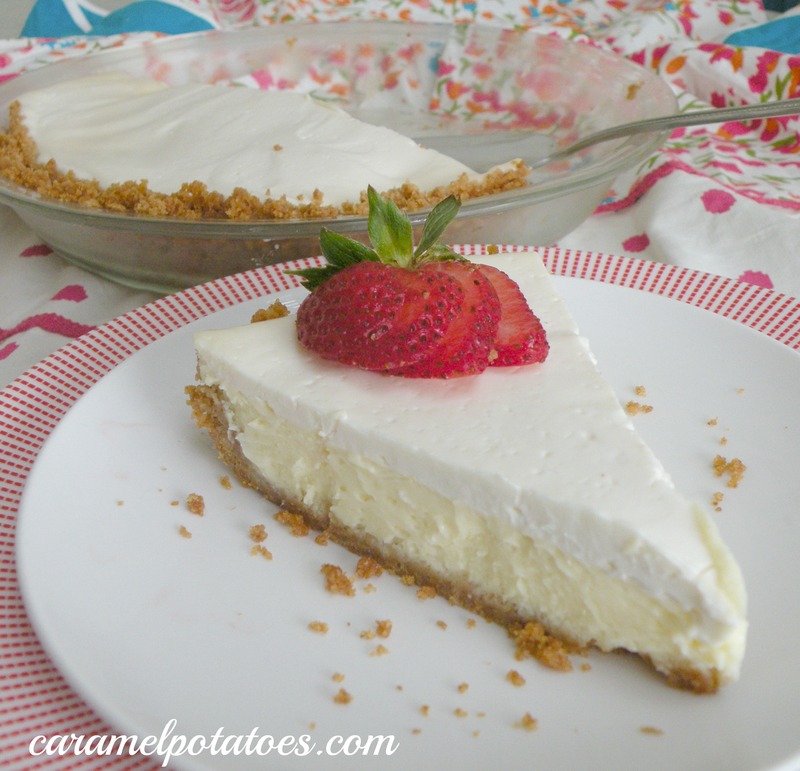 Love cheesecake- this looks easy and good. Thanks! Dont have electric mixer can I use a regular blender? I have never used the blender, but I guess it should work ok. Let me know how it turns out!